As the oral-systemic health connection continues to be the focus of an overwhelming amount of scientific literature, it is important for dentists to stay informed in order to be a reliable source of information for their patients regarding both oral and overall health. This second edition of The Oral-Systemic Health Connection: A Guide to Patient Care explores the connections between oral infections and systemic diseases/conditions, incorporating feedback from scientists, practitioners, and policymakers. In addition to updated chapters about cardiovascular disease, diabetes, inflammation, and adverse pregnancy outcomes, authors have contributed new chapters about antibiotic prophylaxis, the genomic connection, common risk factors, and the economic impact of this connection. Because interpreting this research can be challenging, new chapters about causal frameworks and biostatistical assessment have been added, and specific clinical considerations for providing dental care to patients with certain conditions have been included in selected chapters. 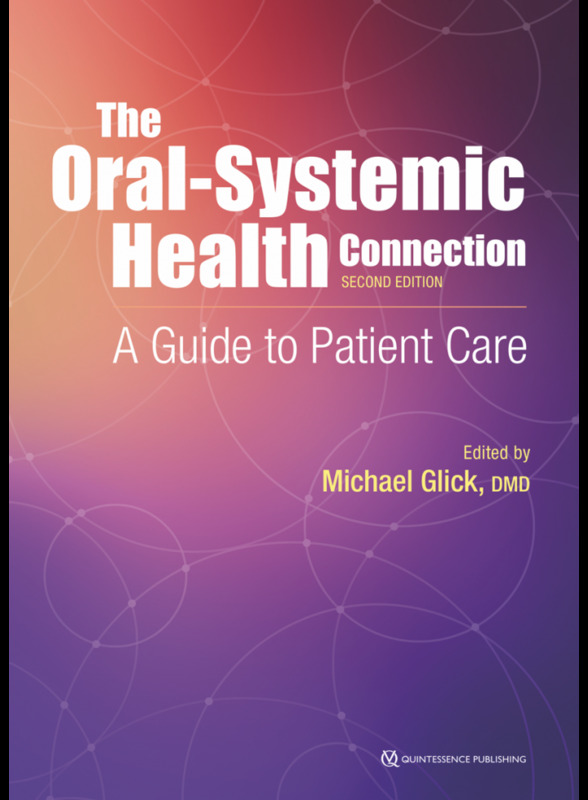 Besides providing readers with up-to-date information on the complex connection between oral and general health, this book prepares oral health care professionals to critically read and evaluate new research to ultimately benefit their patients' overall health.